The European Training Foundation (ETF) is seeking case studies of good practice from schools, universities and training centres (public or private) that are addressing entrepreneurship as a key competence through vocational education and training. To this end, a good practice call was launched on 9th April! 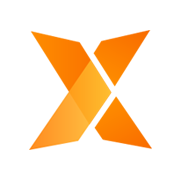 Why an ETF Entrepreneurship Award? How entrepreneurship is promoted through vocational education and training is acquiring increasing policy attention in the European Union set against efforts to build more competitive and employable economies. Entrepreneurship as a key competence, essential to building entrepreneurial mindsets and character of young people in particular, is the latest area of policy development. Given that the entrepreneurship key competence area is still developing, access to good practice provides teachers, curriculum specialists, training providers, as well as policymakers, with ideas and opportunities to develop their own work. Through its work, the European Training Foundation (ETF) encourages its partner countries also to consider developing entrepreneurship key competence within vocational education and training; as well as to share their good practice. To this end, ETF is launching a call for good practice to identify good practice in entrepreneurship key competence promotion. 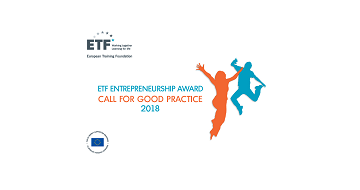 The training provider selected for the best good practice will receive a dedicated award in recognition of their work that will be disseminated at a high-level EU meeting in Vienna in November 2018 as well as through ETF networks. 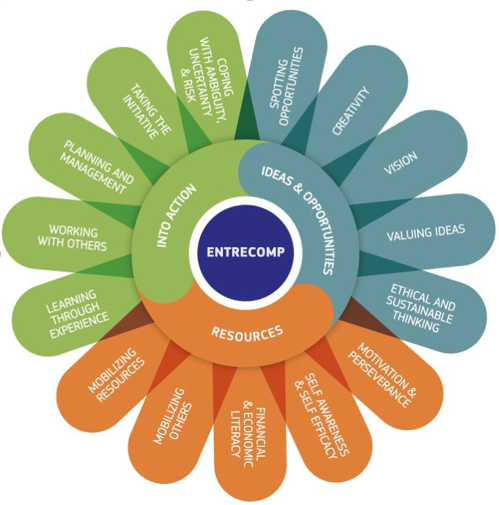 EntreComp, the European Entrepreneurship Competence Framework, is made up of three competence areas: a) Ideas & Opportunities, b) Resources, and c) Into Action. Each of the areas comprises five competences that together constitute the building blocks of entrepreneurship as a competence. The framework develops the 15 competences along an 8-level life-long learning model. It also includes examples of learning outcomes for the competence areas. EntreComp can be used as a basis for the development of curricula and learning outcomes, as well as teaching and learning plans. It can also be used for assessment purposes of pupils and students (see Annex 1 for more details). The competition is open to all schools, universities and training centres (public or private) providing vocational education and training in ETF partner countries. the teaching and learning approaches used in the practice. The winner will be announced on 8 June 2018 on the ETF website. A representative of the training organisation selected for the ETF Entrepreneurship Award, and an education and training policy maker associated with the training provision, will be invited to Vienna, Austria, to participate in a conference to celebrate the 2018 European Vocational Skills Week. The ETF Entrepreneurship Award will be conferred by Marianne Thyssen, European Commissioner for Employment, Social Affairs and Inclusion at the conference gala dinner on 8th November. An information note on the winning good practice will be published and disseminated at the conference. In addition, ETF will promote the good practice through its networks, good practice platform, social media and other publications. Please see privacy statement at Annex 2.